The last week in March was full of trainings in the community around one important subject: Secondary Trauma. 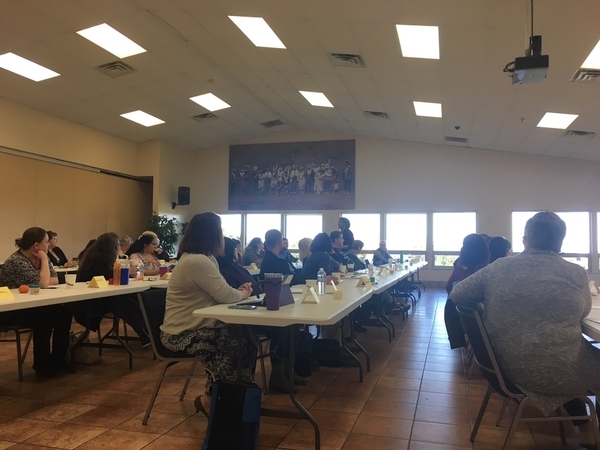 Partnering with the Del Norte Unified School District and Department of Health & Human Services Social Services Branch and the Tolowa Dee'Ni Nation, the Del Norte Child Abuse Prevention Council (CAPC) brought in Beverly Kyer, an expert on Secondary Trauma and Compassion Fatigue. One of the things we have learned in Del Norte while working on ACEs in Resiliency is that resilience needs to exist at all levels of the community. This includes building resilience in the people who are building resilience in the community. Oftentimes when working on an issue as big and broad and seemingly unfixable as ACEs, we become disheartened. For teachers, social workers, family members, healthcare providers, childcare providers, and other members of the community, doing our jobs and going through our daily lives becomes overwhelming. At the beginning of the week, Beverly Kyer spoke with teachers and staff in the school district. Participants reported that the training was on the nose for them. Beverly was able to pinpoint their feelings and experiences in the classroom and provide them with tools to use with themselves and students. 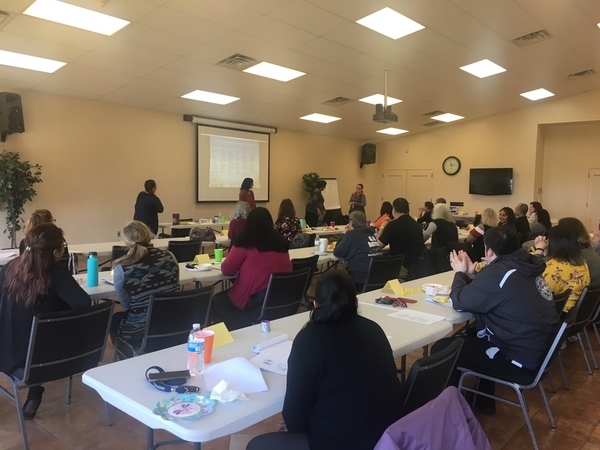 There was also a training open to the community which was widely attended by service providers, non-profits, social workers, and community members. Participants learned to recognize secondary trauma and compassion fatigue and worked through a few techniques to decrease stress and minimize and prevent the effects of secondary trauma. Also included was a special session for managers and supervisors. This session focused on creating resilient workplace policies and environments that support employees who experience secondary trauma. This training provided a perspective of resiliency at all levels of an organization or agency. 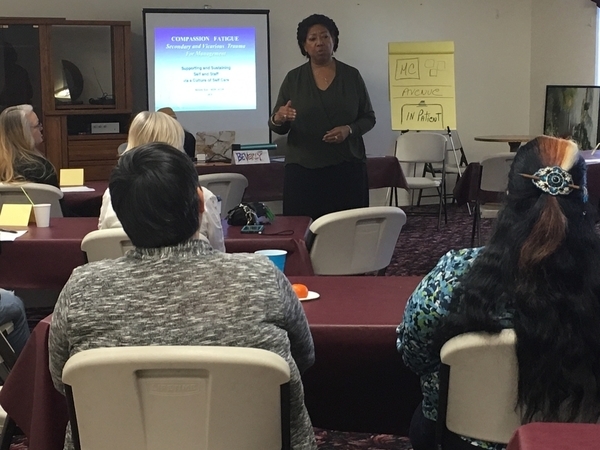 These trainings and the responses from participants served to emphasize that while doing work around ACEs & Resiliency, it is paramount to bring in reminders about self-care for individuals, organizations, and communities. As we move through this process of building a Resilient Del Norte, let us not forget to care for ourselves as well as the ones around us!